Winner:2011 National Health Information Award, Silver, Health Promotion/Disease Prevention2011 National Indie Excellence Award, Self-Help, General2009 National Health Information Award, Silver2009 IBPA Benjamin Franklin AwardWhether caring for one's self at home or providing care for a loved one, this indispensable quick reference can improve quality of care and quality of life for those with cancer. 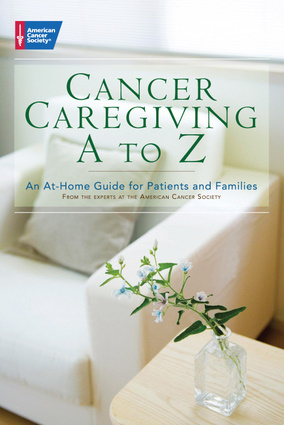 Organized in a straight-forward alphabetical format, the book covers more than four dozen critical cancer caregiving topics, from anxiety to weight changes, and is filled with vital checklists, as well as time-saving—perhaps life-saving—"What-to-do-ifs," which are readily accessible. The American Cancer Society is an organization committed to fighting cancer through balanced programs of research, education, patient service, advocacy, and rehabilitation. Its goals emphasize prevention, early detection, and screening; comprehensive treatment information; answers to questions about insurance, money, and planning for the future; and strategies for coping with the physical symptoms and emotional effects of cancer. They are based in Atlanta.